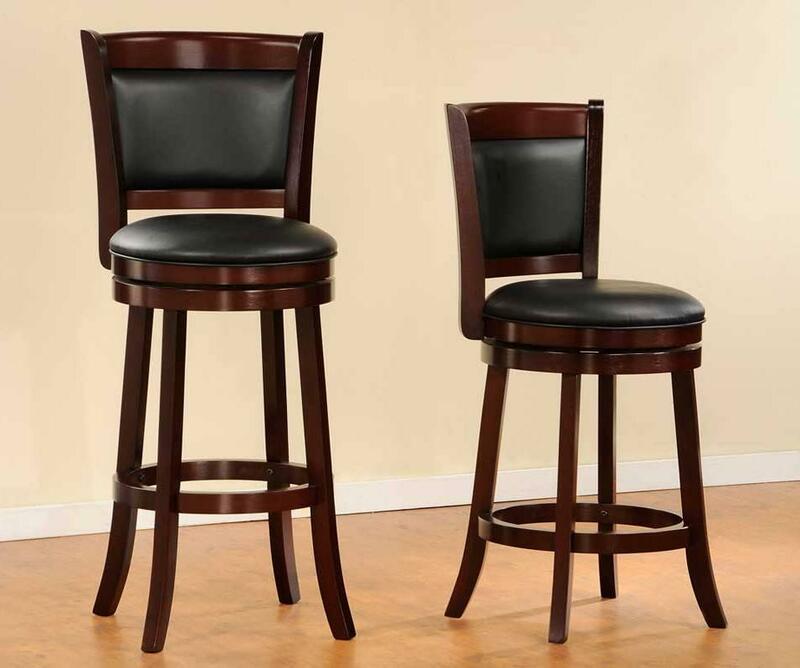 The transitional Shapel Collection adds the simple touch of style to your home's smaller dining or bar space that you've been looking for. 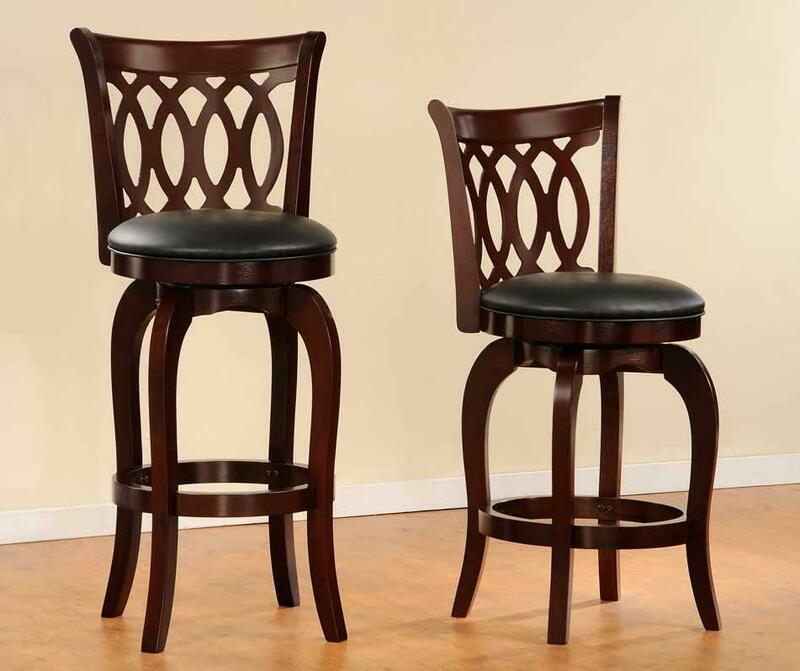 With the dark cherry finish available, the collection further expands your seating style design selections, each available in 24 and 29 inch heights. Each height option sold individually. FEATURES: Dark Cherry / Dark Brown Color ~ Transitional Style ~ Bi-Cast Vinyl Cover ~ Swivel Stool / Chair ~ Foot Rest ~ Wood Base.